WOMEN have flooded the Facebook page of a US city's police department with lust-fuelled comments about the mugshot of a criminal who looks distinctly like a male model. 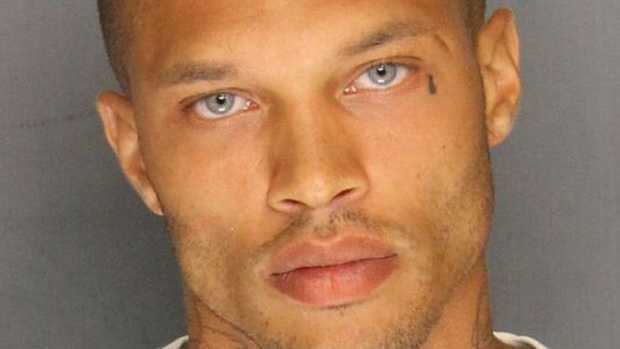 Jeremy Meeks, a 30-year-old convicted felon, was one of four men arrested this week in raids in Stockton, California after a spate of shootings and robberies. By midday today (NZT), his mugshot has had more than 26,100 likes and over 7,000 comments, while it had been shared more than 1,900 times on Facebook. "OMGGG superrrrrr Delicious," commented Adjutha Lambertina, while Michelle Asher Morales asked: "Can we be handcuffed together....lordy!!" Amanda Sullivan sung the praises of "the most attractive looking mug shot I've ever seen!" No jail despite "gratuitous violence on innocent people"